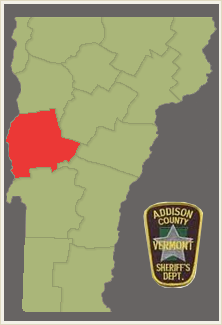 Learn more about the Addison County department. 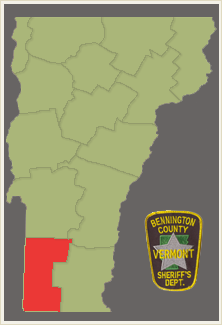 Learn more about the Bennington County department. 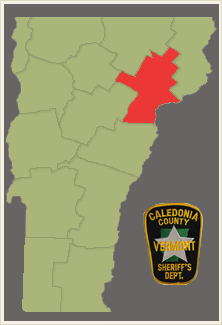 Learn more about the Caledonia County department. 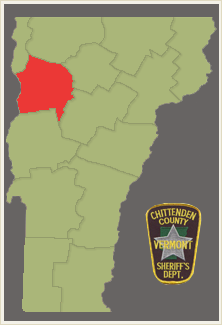 Learn more about the Chittenden County department. The office of Sheriff is a vestige from tenth century England and was rooted in the common law. The title derives from the term "shire" meaning county and "reeve": meaning a bailiff (keeper). The "shire-reeve" was the local representative appointed to represent the kings interest. His responsibilities were to preserve the peace, which meant the arrest of law violators, be responsible for their detention and see that they went to trial. The office of sheriff survives today with unique responsibilities which fall under both criminal and civil law. The powers and duties of the Sheriff have changed but the historical functions remain. The American Colonies adopted the office of sheriff from Mother England. Today, the office of sheriff exists in all states except Alaska and Hawaii. It is a constitutionally designated office in thirty-five states, including Vermont. Traditionally, the Sheriff is an elected official and in most states, serves four year terms. There are in excess of three thousand counties in the United States and sheriffs exist in nearly all of them. The responsibilities of the office varies between and within the states though similarities do exist throughout the country. The office of sheriff is unique in that it has responsibilities in all branches of the criminal justice system. 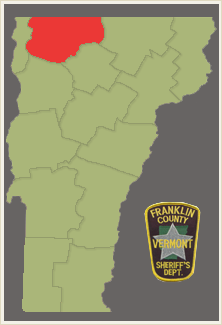 There have been thirty-four sheriff's in Franklin County, Vermont since 1769. Some noteworthy sheriffs in the past include: Sheriffs Prince B. Hall (the first sheriff) and Thomas Russell (the second) who administered time in stocks and whippings in (presently) Taylor Park for misdemeanor crimes, Sheriff Solomon Walbridge (the fifth sheriff) who fought in the Battle of Bennington in August 1777, Sheriff Shiverick Holmes (the eighth sheriff), who was the only Franklin County Sheriff to hang a man (in 1820), and Renesselaer R. Sherman (the eighteenth sheriff) who served at the time of the St. Albans Raid in October 1864. He returned to the village and found his 15 year old son about to go on one of the posse's, chasing the St. Albans Raiders. Sheriff Sherman locked his son up in his jail and he went with the posse. There have been six county jails in St. Albans with the present being built in 1893. Sheriffs to Sheriff (Senator) John Finn lived in the jail until 1969. 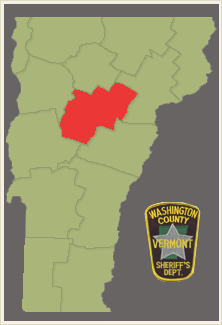 The State of Vermont closed most of Vermont's fourteen county jails holding prisoners in the 1970's. At present, the Franklin County Jail houses Federal prisoners for the US Immigration Service, the US Marshall's Service, and the US Border Patrol. On November 06, 2018, Roger Langevin was elected the 35th Sheriff of Franklin County. His responsibilities include furnishing security for the Franklin Superior Court and Vermont District Court, serving civil and criminal papers, transportation of prisoners, patrolling towns, motor vehicle and snowmobile enforcement, and furnishing security for special events. Learn more about the Franklin County department. 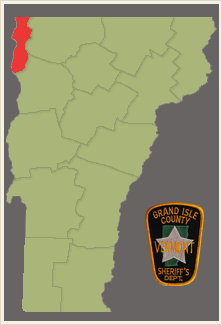 Learn more about the Grand Isle County department. 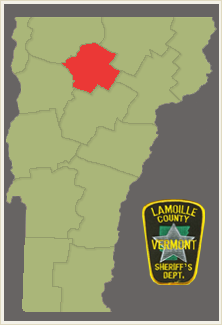 Learn more about the Lamoille County department. 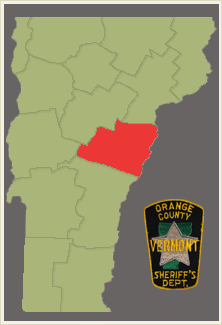 Orange County is situated southeast of Washington County tucked in the center of Vermont's Green Mountains. Orange County is 692 square miles in size. The County was incorporated on February 22, 1781 and the shire town is Chelsea. 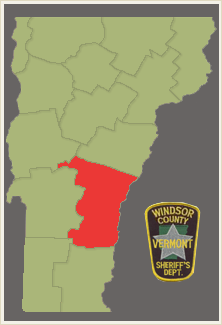 The department works on a contract basis with many of the towns and maintains a strong presence throughout the county. Learn more about the Orange County department. 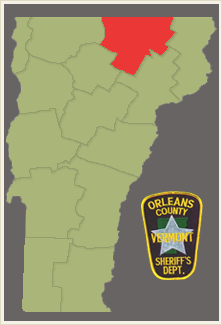 Orleans County is situated on the Canadian Border directly east of Franklin County. It is 737 square miles in size. Orleans County was incorporated on November 5, 1792 and its shire town is Newport. Learn more about the Orleans County department. 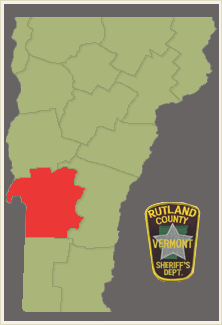 Learn more about the Rutland County department. Learn more about the Washington County department. 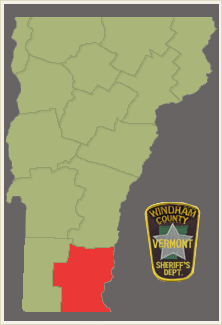 Learn more about the Windham County department. Learn more about the Windsor County department.